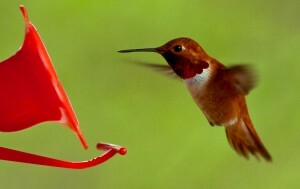 Hummingbirds, although one of smallest species in the bird family, can fly at speeds so quick and flap their wings so rapidly a humming or buzzing sound is emitted when they fly. And with their long narrow bill shapes they are evolutionarily designed to drink the nectar from certain flowers with precision and ease. In celebration of their 15th year anniversary, Google rolled out their first new search algorithm since 2001, aptly named, Hummingbird. Aimed to be lightning fast, efficient, and incredibly accurate; unlike other roll-outs Hummingbird offers a completely new search algorithm, whereas Panda and Penguin were simply updates to the same system. Like with any major change introduced by Google, the marketing climate has been a mix of excitement and trepidation as time will be the only true indicator of what the new search algorithm will mean to marketers’ bottom-lines. Okay, I’m Intrigued… Tell Me More! Unlike a typical Apple brand, highly publicized and anxiously anticipated, product launch, Google quietly rolled out the new search algorithm sometime last month. So unbeknownst to most individuals, Hummingbird has been fluttering along, proving to have very little negative effect on those marketers who have been playing the fair game all along. The fair game you say? Fair, meaning the use and administration of industry and SEO best practices. What is Hummingbird? Well it is an evolution of sorts. Google in all of its infinite wisdom, more than any other piece of analytical data looks to the behaviors of its users and consumers to determine the newest trends in the market. With this information they then subsequently create programs and products to fit these needs. With the future of search pointing loudly towards mobile and voice communication, Hummingbird aims to move from traditional keyword specific search results to a more predictive, semantic longer search phrase answer. The search which has become so cumbersome because of the sheer volume of online searches today, with the new algorithm will be able to more accurately consider question words like, how, why, where and when. This natural language processing although seemingly new, to seasoned SEO professional is a methodology in facilitation for years. Christy Belden, of LEAP marketing and media, explains that the focus on semantic language by Google’s Hummingbird will continue to push marketers in a positive direction. It is her opinion that the new search algorithm will just force those individuals that have been relying strictly on keyword optimization and quick SEO tactics, to step back and hone in on the true spirit of the business: the creation of long-tail, quality-rich, shareable, linkable content. What Does This All Mean for Me and My Business? Although rolled out as a separate entity to Google’s Hummingbird, marketers alike has been up in arms recently over Google’s announcement to encrypt all future keywords results in organic search. Although the change has been met by some disgruntlement, it has been in the making since 2011, and appears to fit all too seamlessly with the introduction and inception of Hummingbird. The movement and shift from pure search to common language processing will surely become if it hasn’t already, industry norm. If you have not experienced any major changes in your organic search results, than chances are you and your business has been doing all the right things from the get-go. Hummingbird aims to level the playing field for smaller companies who have been playing the long-tail game for years but could never find any real traction because of the out-budgeting and out-bidding keyword war waged by large corporations. Skepticism in the industry persists however as to how genuine Google’s motives truly are. With the total encryption of keywords and the push for a semantic fueled search, marketers needing to provide true keyword data to their client are forced to utilize Google’s premium products. All signs point to the true monopolization of Google in this search engine industry, becoming “too big to fail”, and now gathering unique data that will provide them with the ultimate competitive advantageous for their own online marketing and advertising efforts. But regardless, Hummingbird is here now and will continue to beat its mirco-wings at an intensifying speed to keep up with our progressively sophisticated searches.